M’s on 4th in Sioux City has generously chosen The Pier Center for Autism as its charity of choice for the month of April for M’s Day of Giving! 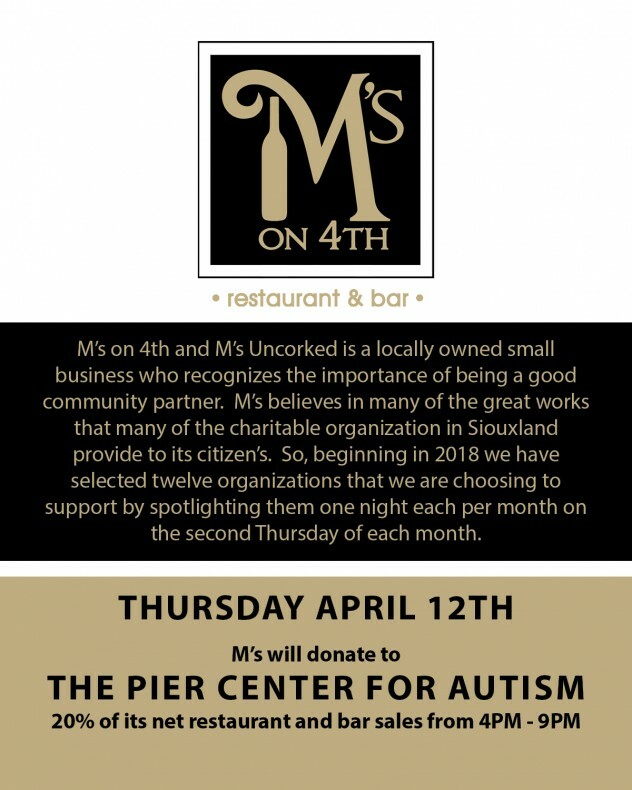 If you’re heading out to eat on Thursday April 12th, head to M’s for dinner! The restaurant is donating 20% of the proceeds to the Pier Center from 4PM – 9 PM! ← May 5th 2018 – 6th Annual Derby and Dreams – Click to Read More!